No matter how much people try to create awareness about how bad bullying someone is and can be; there are several teenagers that keep doing it. I remember the time when I was in school; I was bullied every now and then since I was one of the fattest kids in the class. The teasing affected me like was my worst nightmare and would spoil my entire day. When I became a parent, I decided to find ways to protect my child from bullying. Introduce him to the concept of bullying – The worst thing about being bullied is that people don’t even know that such a concept exists. I know bullying can destroy the self-image and confidence of a person, especially if he is young. As a parent, it is your responsibility to tell your kid that the others are simply trying to put him down to have some fun about it and there’s absolutely nothing serious that they have in their hearts. This may not make sense to you now, but when you think about it, you realize how important it is for your kid to know that the others can be forced to shut their mouths if he takes their bullying comments as jokes. Talk to the teacher or professor – If bullying is affecting your kid negatively and seriously, you may wish to talk to the teacher or professor of your kid’s school. If she is unable to handle the situation, talk to the principal and find out how good the school is in handling the kids and their problems. Bullying can lead to severe psychological destruction. Teach him to give it back, if needed – While most of the parents teach their kids to tolerate comments, I believe in teaching them how to give it back if needed. Gone are the days when patience and tolerance were respected; it is the era of knowing where you stand. Unless your kid is taught how to fight back against the wrong, he can never protect himself and his family in future. Teach him never to bully others – The best way to eradicate the concept of bullying in the world is by teaching your kids never to bully others. If he doesn’t bully others, no one would believe in bullying him either. Therefore, it is essential for all the parents to teach their kids not to tease others and spread the meaning of friendship and affection for one another. Talk to the kids that bully your child – If your kid has finally spoken with you about how bad the other children treat him at school, you may wish to have a word with his classmates or their parents, directly. If you meet the kids, tell them how bad it is to bully your child and if you meet their parents, tell them how to handle their kids to erase the concept of bullying from the society. Is bulling wrong because is Someone Is bulling you have to tell the teacher right? Yes! And you continue to seek help until something is done about it. Nag your parents, till they take notice, tell family members friends anyone who will listen. Also try talking to the bully, away from the crowd. 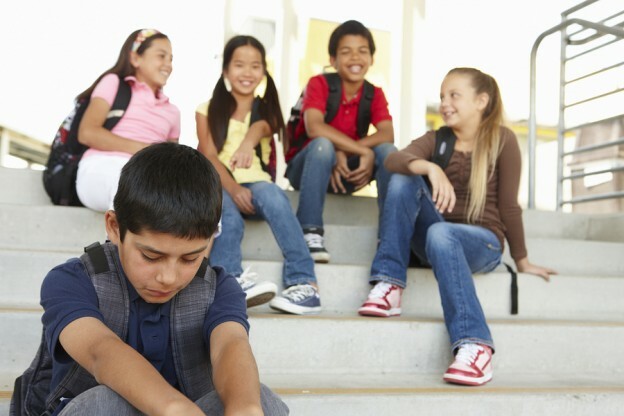 One day before the bully starts to bully catch him alone and try and talk and let him know your feelings and that you don’t want any issues or him to get in trouble for bullying. But alway seek HELP OK.